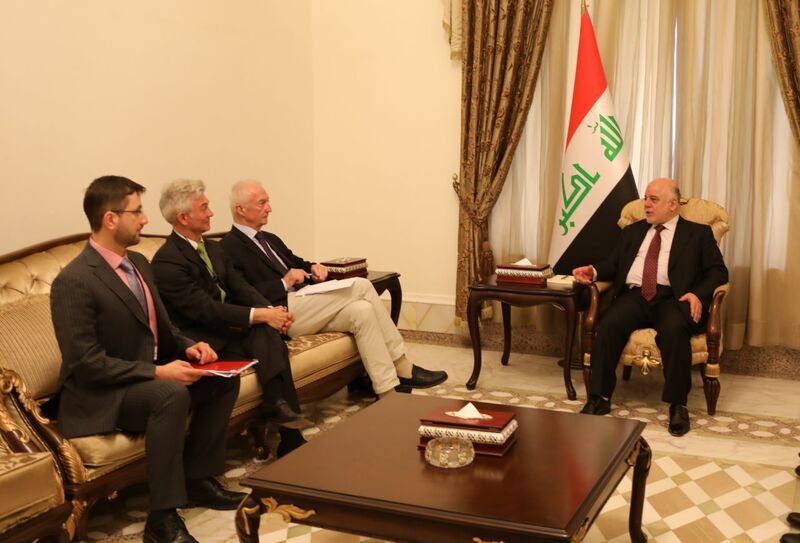 His Excellency Prime Minister Dr. Haider Abadi has received EU Counter-terrorism Coordinator Gilles de Kerchove and his accompanying delegation. His Excellency has confirmed his keenness to strengthen the security and stability throughout Iraq and particularly in liberated territories, assuring that the security forces did their national and humanitarian duty professionally until security file to be handed over the to the local police forces, Pointing out to continuing the training and the rehabilitation in order to increase the efficiency of security forces. For his part, the coordinator of the EU Counter-terrorism Coordinator has expressed his appreciation and admiration for the success of Iraq's efforts to combat terrorism and eliminate Daesh's terrorist's gangs, expressing his good impression while visiting the liberated territories during his current mission, He has expressed his readiness to carry out rehabilitation programs and provide advisory expertise on combating terrorism, enhancing security and stability.